11 Aug Travelling with Babies and Toddlers. A lot of parents worry that once their toddler is in a good bedtime and sleep routine, it’s difficult to travel, or go into an unfamiliar place that could thwart great sleeping patterns. However, before you swear off travelling, or panic about an upcoming trip, here are some pointers that can help. • Plan the length of your trip. Be honest about what you and your children can handle in the way of a trip. While older children might be able to deal with 10 or more hours in the car, younger children can’t. 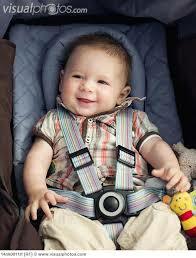 Generally speaking, young children should not be subjected to confinement in a car for more than six hours a day. This is just as much for your sanity as it is for theirs. • Children are prone to car or motion sickness so be prepared for this. Consult your doctor or pharmacist ahead of time for mediation. • To avoid frustration, confusion and last minute run-around on departure day, start packing a few days before you leave. Ensure you pack their favorite sleeping toy and/or blanket. • Get your car packed and ready the night before if you are planning to leave early in the morning. This includes getting snacks, drinks, a spare set of clothing, first aid kit and other essentials prepared. Toys, books and other key things to keep your child occupied should be stored in the car where it is easy for them to reach while not causing any safety concerns. Make sure the DVD player or iPad is charged and the screen set up where it won’t distract the driver – and remember to ensure the screen is securely fastened so that it won’t fall down and cause injury..
• If your baby is showing signs of needing an extra nap to catch up on rest, try limit it to 45 minutes. And if the nap is close to bedtime, rather have an earlier bedtime and skip the nap. • To adjust your child to a new time zone, try spend time outdoors as the light is a good time cue, and our bodies adjust easier. • Keep light to a minimum before bedtime – this will help stimulate melatonin production, and stimulate sleep. • Do not over-schedule or over-plan! Even though you’re on holiday, too much stimulation and back-to-back activities aren’t advised as these cut into rest (and put more pressure on the parents too). • Even though you’re on holiday, try not to bend the rules too much, even though babies and toddlers frequently test the sleep boundaries in a new place. The best thing to do if there are wakings or crying, is to treat it the same way you would at home. You can go in every five minutes or so to offer some comfort. If you remain consistent, your child will much easier adapt to the new environment, and is likely to sleep well. • Make sure you bring your child’s sleeping toy and/or blanket, and be aware that if bed sharing happens on holiday and not at home, your child is likely to want the same setup at home. Most hotels have cots – inquire before you go, and if not, take a camp cot with you. • If your child is older than eight months, try set up their cot or bed in a private or partitioned space for them to sleep in. This is to avoid her wanting to play or get into your bed when she sees you right by her.